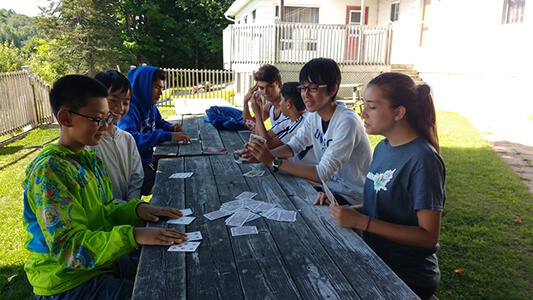 Our camp is situated in Mont-Tremblant, 120 kilometers (75 miles) north of Montreal. 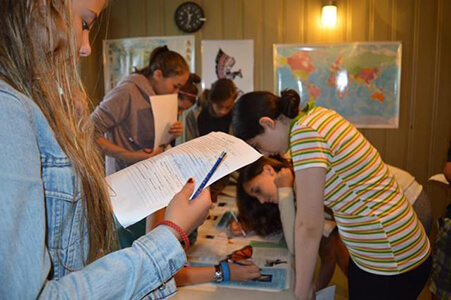 The summer camp is located next to a large forest and at the edge of a beautiful lake. Some activities, such as rock climbing and kayaking or river canoeing, take place off site just a few miles away. Visit Ottawa, Montreal and Quebec City or enjoy waterpark and rafting excursions. The camp has two buildings. 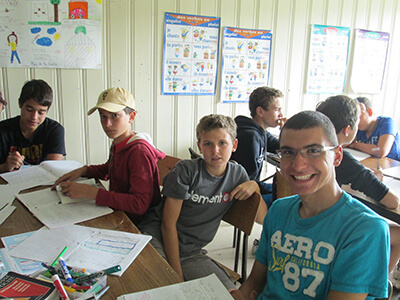 Kids from the French and English programs are divided in different sections. 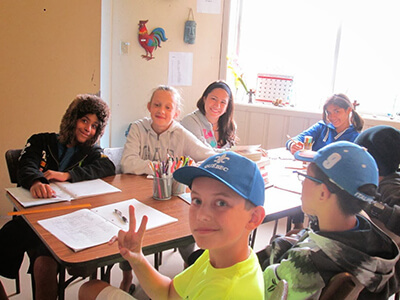 In addition, we have two dining rooms, a kitchen, classrooms and meeting rooms. Bedrooms and bathrooms are also located in these two buildings; each room (which includes bedding) has accommodation for four (some rooms hold six). Each room has its own sink. There are shared washrooms and showers on each floor. 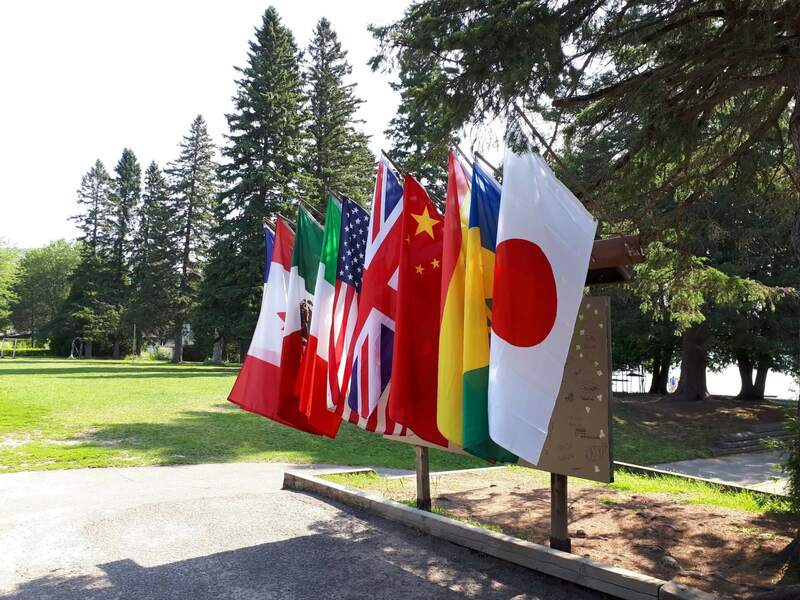 Our camp is located 3 km from the town of Mont-Tremblant, where there are two medical centers. In case of emergency, the Sainte-Agathe City Hospital Center, a well-equipped regional hospital is located just 20 minutes from us. 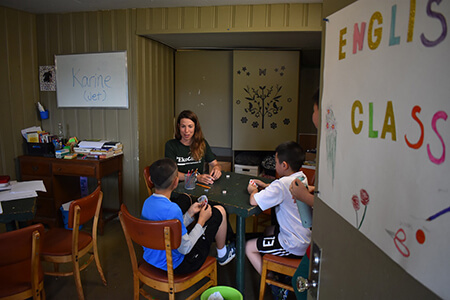 All of our staff receive first aid training and we frequently remind participants of the safety rules so that young people can enjoy the camp in a safe environment. • Diploma for each participant. 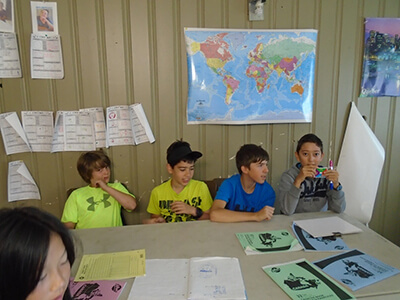 A short oral test will be held on arrival to qualify campers for the different levels : beginner or intermediate. Accordingly, courses will be held either in the morning or in the afternoon. The course is designed to be challenging and amusing at the same time. 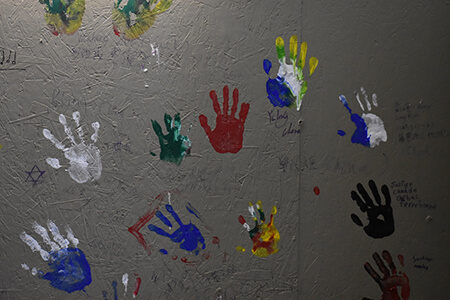 The course will encourage work in cooperation with other students. It will also show that campers are responsible for their own progress. 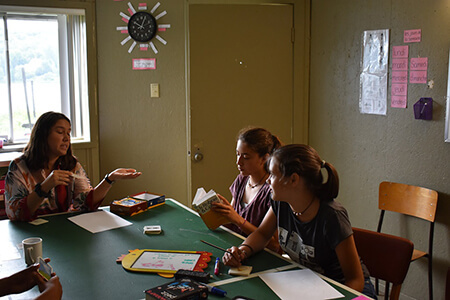 The contact with young people from other cultures will bring home the importance of languages in the 21st century on a daily basis. 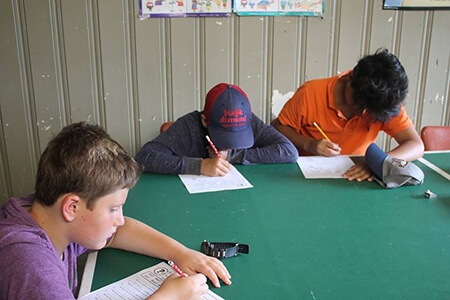 In order to achieve fluency, various activities are undertaken in spelling, dictation and pronunciation as well as short writing tasks. Each class consists of three teaching periods of fifty minutes each. The first two periods are structured. 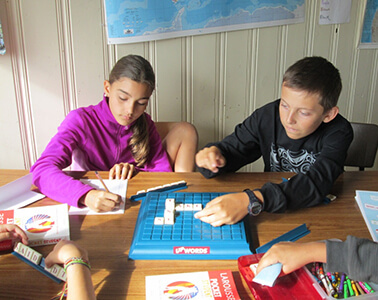 The students learn grammar, new vocabulary and practice communication skills. The third period is more relaxed: the students watch excerpts from films and play games. 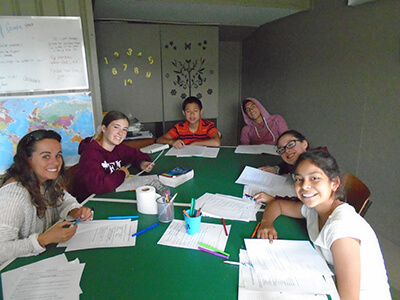 Our language camp promotes the development of speaking, listening, reading and writing skills. 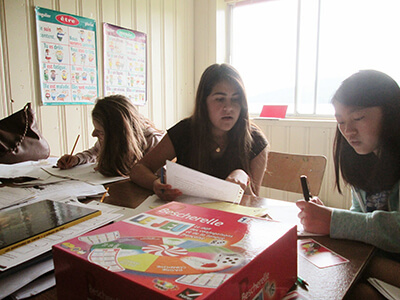 Warm-up activities, core activities and follow-up activities give students regular opportunities for practicing speech, vocabulary, grammar and writing skills. Illustrations provide important visual support. 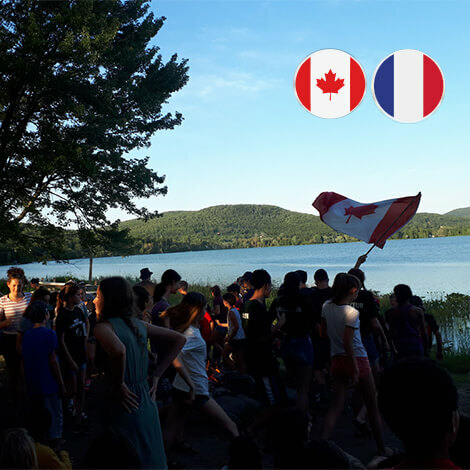 Since French is spoken at camp, students can practice their new skills on a daily basis. 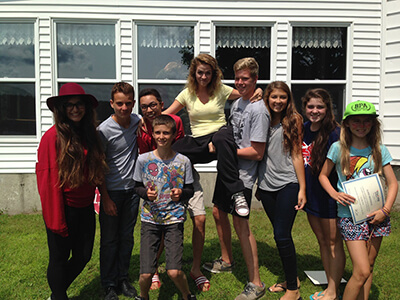 One of the best French immersion camp for kids in Canada!